App Check - Is the name already used for an app? With the App Check you can find out how many results your name idea yields in several of the most important app stores. The rule is: less is more. Because the more often your name is found, the more often it is used by other people. Obviously, this is not desirable. 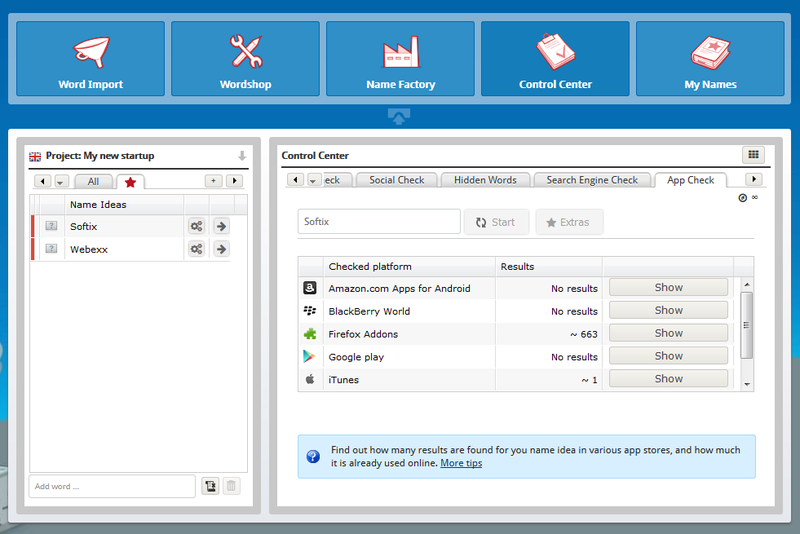 The App Check searches through Google Play Store, Apple's iTunes store and Windows Phone Store, as well as many more like BlackBerry World or Firefox Addons. Check the number of results for your name in various app stores with one click. Go to the App Check in the Control Center right now to test it out! If you don't have a NameRobot account yet, simply register and start looking for a name!